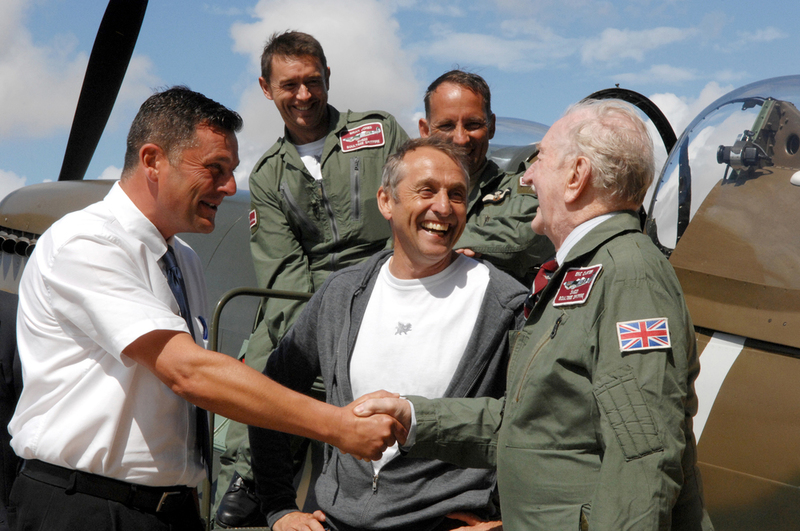 When we bought the Mark IX Vickers Supermarine Spitfire at a Bonhams auction in April 2009, Steve was determined that part of our role as custodians was to keep the plane in the skies over the United Kingdom and that it would not sit static in a museum but to ‘show people the joy of life through flight’. Based at Goodwood Aerodrome the Boultbee Flight Academy was initially set up as a specialist flight training facility for pilots. 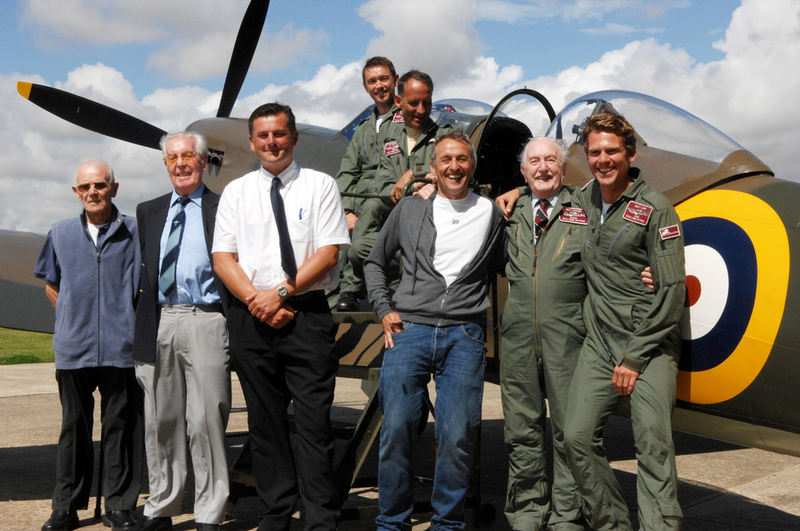 We were subsequently also granted permission to take non pilots up for experience flights - enabling even more people to have the opportunity to experience the thrill of climbing into the seat of a Spitfire, strapping in, hearing the Rolls Royce Merlin engine roar as it whirrs into action and then taking to the skies in this iconic machine. More than 21,000 Spitfires were built, only an estimated 50 flying Spitfires remain and only 8 are two-seaters. The Boultbee Flight Academy gives a new generation the chance to take the controls. 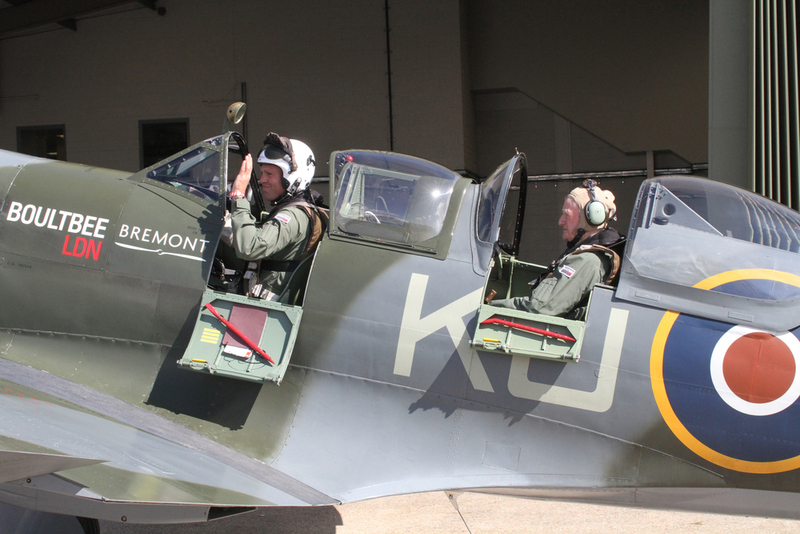 One of the aims at the Boultbee Flight Academy is to keep the memories of British aviation heritage alive, whilst maintaining the engineering and piloting skills required to operate the historic aircraft. With approval from the CAA, the Academy provides training that can lead pilots to solo and even display the legendary Spitfire. Our newest venture gives people the opportunity for a unique air to air experience - a flight in a helicopter alongside a single seat spitfire. This opens up access for more people to enjoy the spitfire from a whole new perspective.